the weather has been pretty uncooperative when it comes to things like, going outside and not having the wind chill bite off your face, so we stayed indoors a lot yesterday. i tried to recreate my mom’s bread recipe and charlie got started on a puzzle that he picked up during a recent thrift store trip. 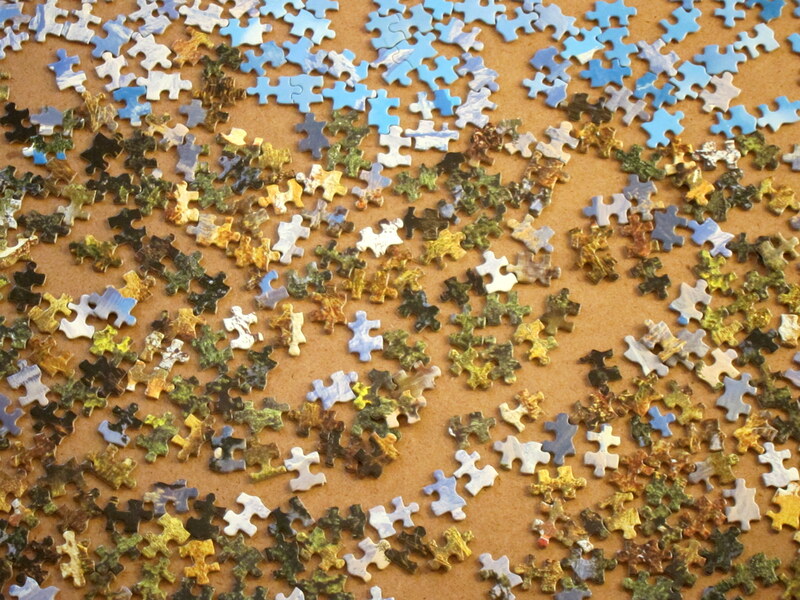 the whole puzzle thing is new to me. while i did not grow up enjoying the art of lying on the floor for several hours, sifting through thousands of small cardboard pieces, charlie clearly did. his eyes lit up when he saw this in the store and i could tell that he used the five minutes it took for him to find me amongst the aisles to come up with a quiver of reasons for why he should get to take it home. i felt a little like person who shrieks in horror after their dog brings home a dead bird. while you’re trying to remember everything you’ve every heard about the hantavirus, the dog is like “what’s the big deal? i brought you a gift!” the puzzle wasn’t that bad, but the 1960s-era mountain scene reminded me of the hideous art charlie had hanging in his bedroom when we first met (another thrift store find). 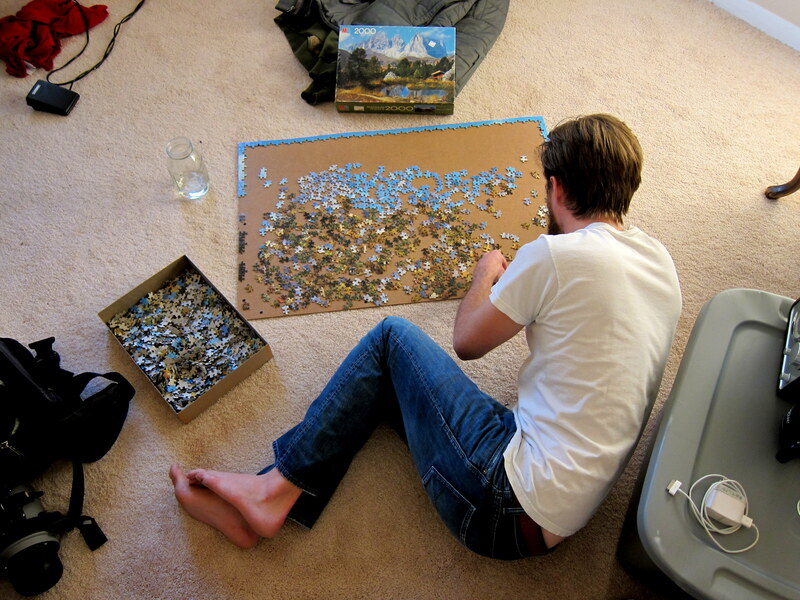 i agreed to the puzzle purchase … only after he promised he had no plans to frame the monstrosity once he was finished. the weird thing is, this is probably the most hipster thing he has ever done. 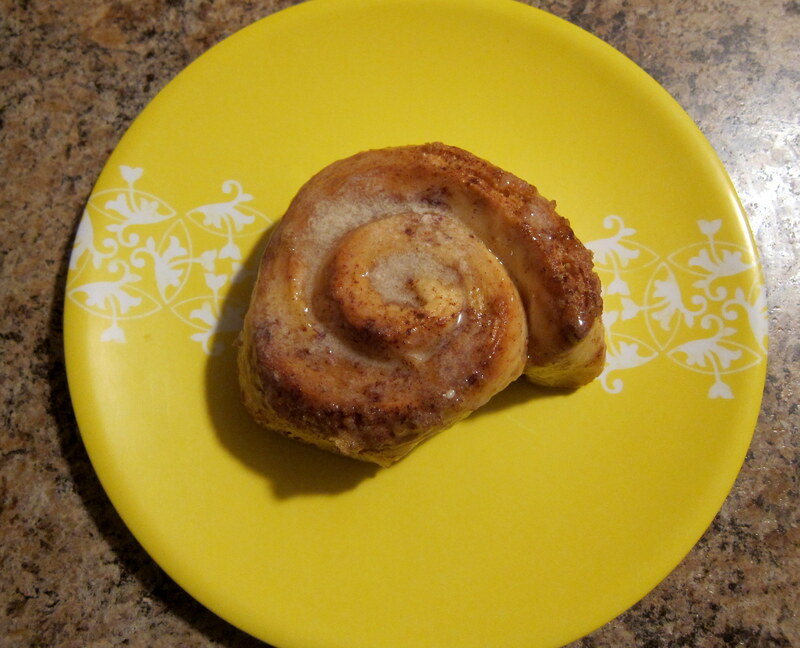 my mom used to let her bread rise all day, leaving her enough dough to make both dinner rolls and cinnamon rolls. 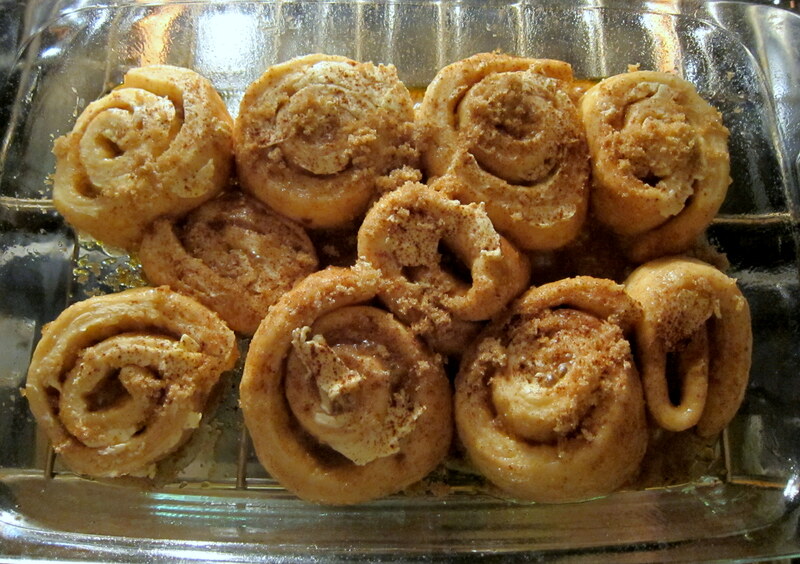 she made them a couple times a year and we’d ration them out so they’d last for weeks, going through the dinner rolls first and saving the cinnamon rolls for last. 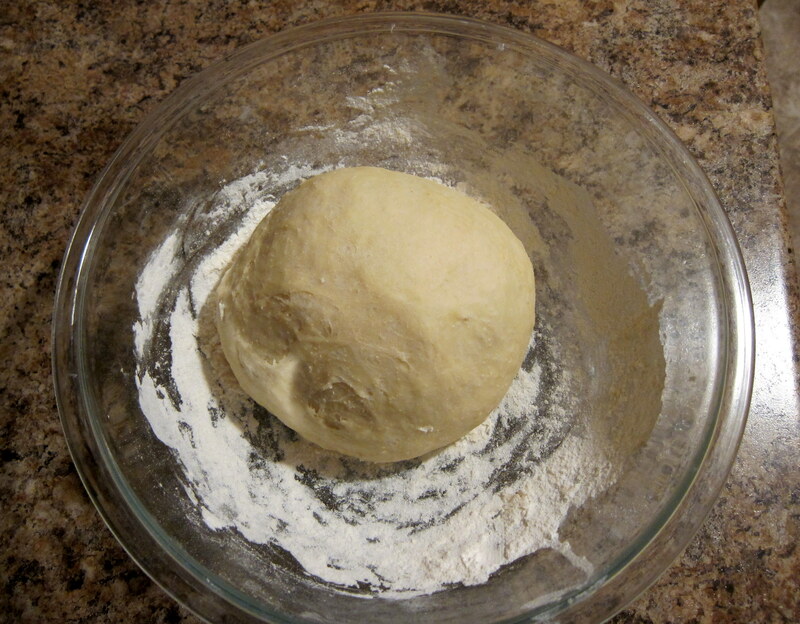 i, on the other hand, have zero patience ( i only let the dough rise enough to make cinnamon rolls).